John-Dylan Haynes is a leading neuroscientist. 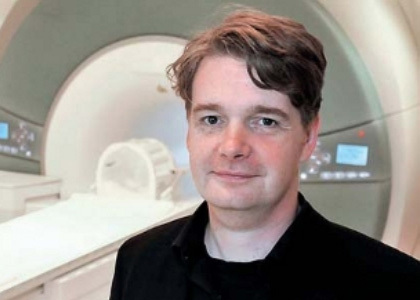 He has been Professor for Theory and Analysis of Large-Scale Brain signals at the Bernstein Centre for Computational Neuroscience, Berlin since 2006, and Group leader at the Max Planck Institute for Human Cognitive and Brain Sciences, Leipzig since 2005. His research focuses on examining what ultimately determines our thinking and our consciousness. He investigates the relationship between consciousness, attention and dynamic changes in brain connectivity. This research has many potential applications, as for example in detection of deception, in the control of computers and artificial prostheses by brain activity, or even in market research. With the help of MRI and EEG Haynes measures the brain activity to make thoughts visible. Another fascinating research topic of Haynes\’ is the role of consciousness and intuition in intellectual achievements. In his research, he reveals that unconscious brain processes that influence our thinking and behaviour go unnoticed. This has a direct impact on human free will. Haynes has the gift to make complex and abstract ideas easy to understand for his audiences. His lectures are exciting, enlightening and thought provoking.